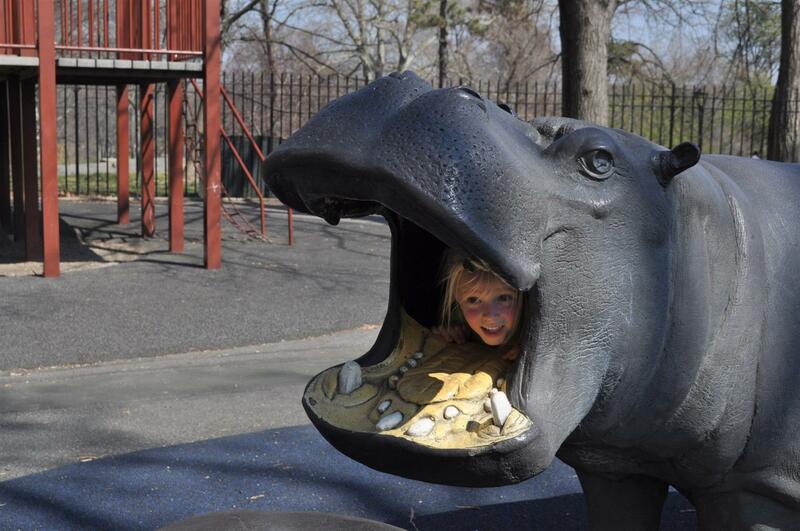 In Central Park there is this cool playground that has a herd of hippos made out of fibre glass (?? I guess). 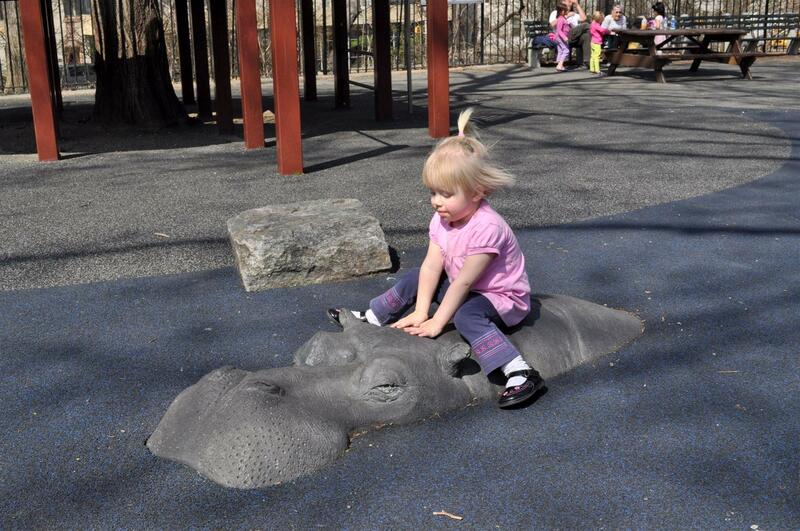 The kids always think it’s fun to pretend to ride the hippos. So do some of the adults. 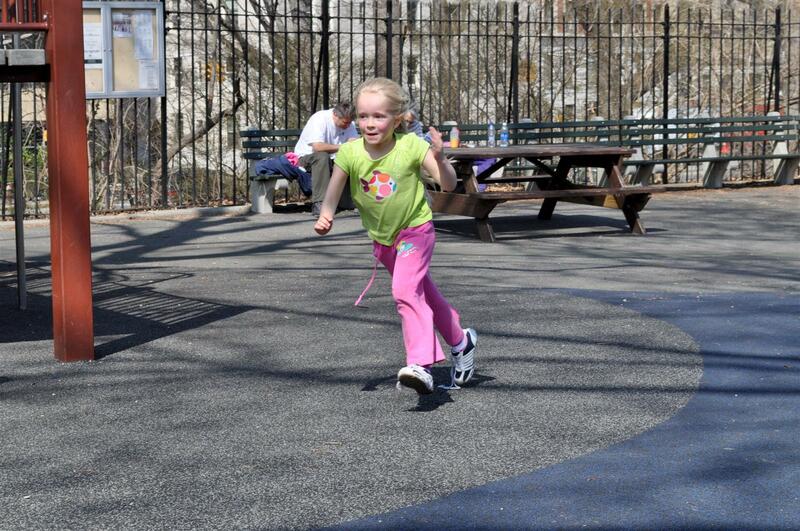 Any playground means an opportunity to run to Marica! 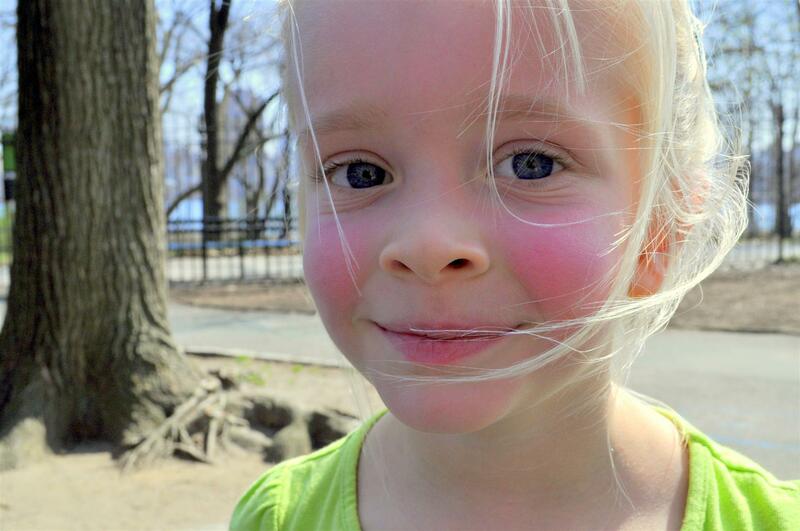 And to get her fair skin all bright and rosy. I sometimes wish I knew what goes on inside Esther’s head. She’ll just sit and talk to herself sometimes quite happy in her own little world. 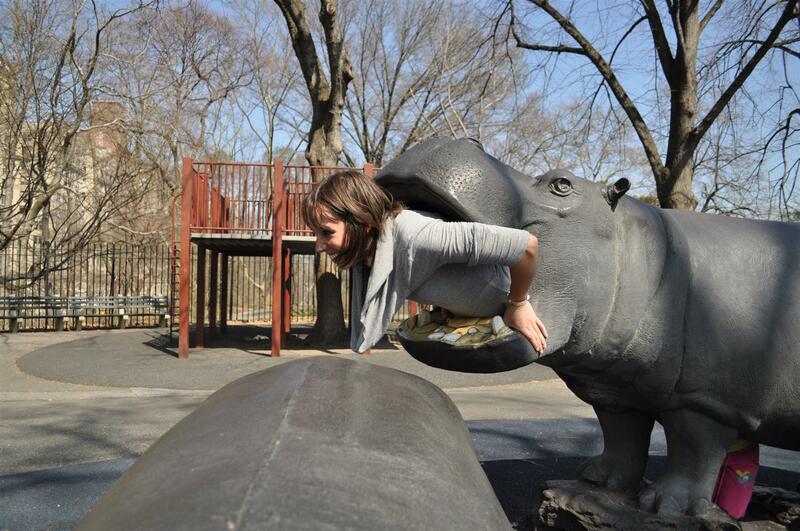 so Lizel wanted to try it too. 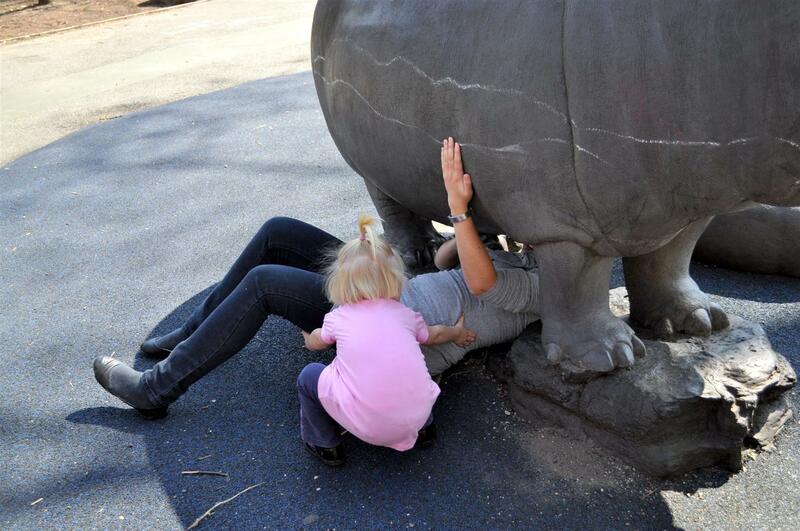 It was a bit of a mission getting in there from under the hippo, so she thought she’d just slide out the mouth. 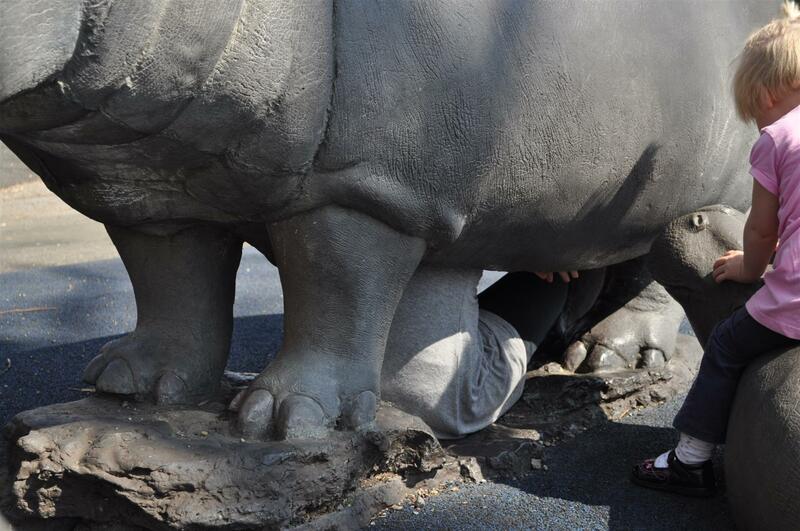 Only… she got a little stuck. 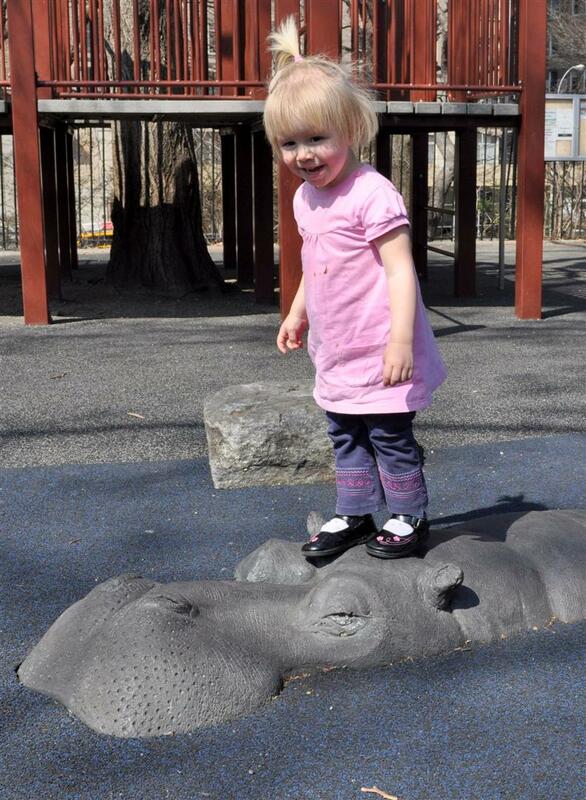 So she manoeuvred herself back down to climb out its stomach again, while Esther looked on with concern. 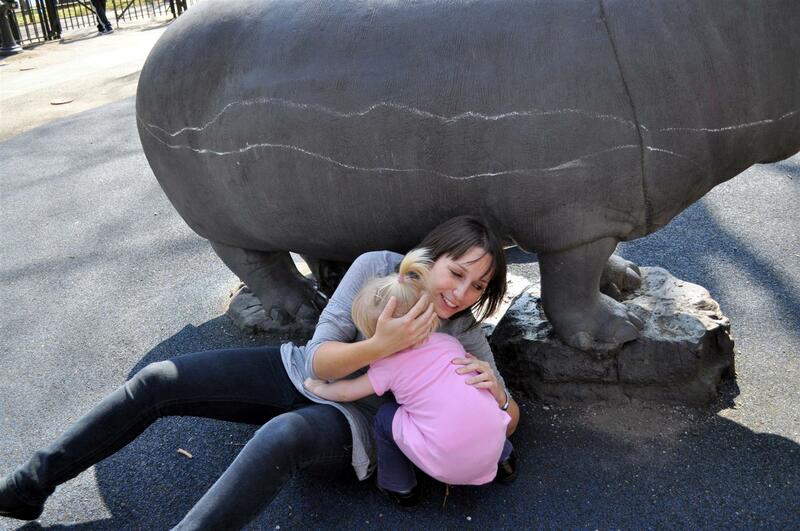 Esther realised that poor tannie (aunty) Lizel needed some help! 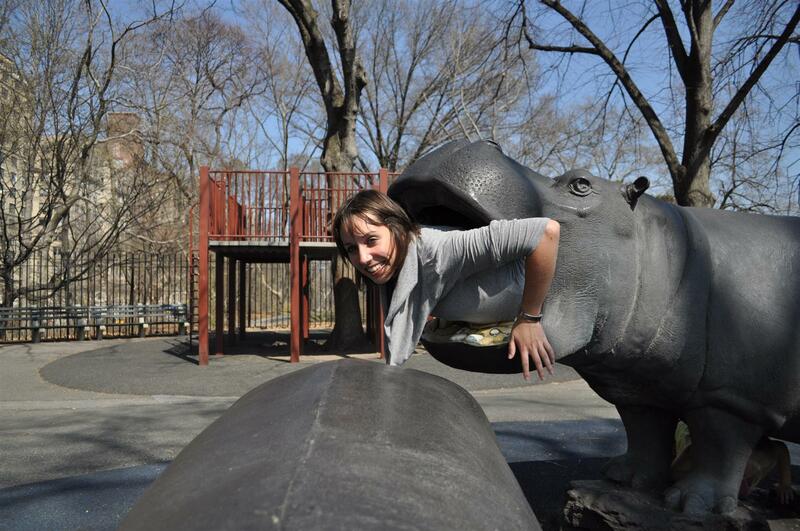 So after a lot of pulling and tugging, tannie Lizel finally re-emerged from the bowels of the hippo, and gratefully embraced her rescuer. The moral of the story? 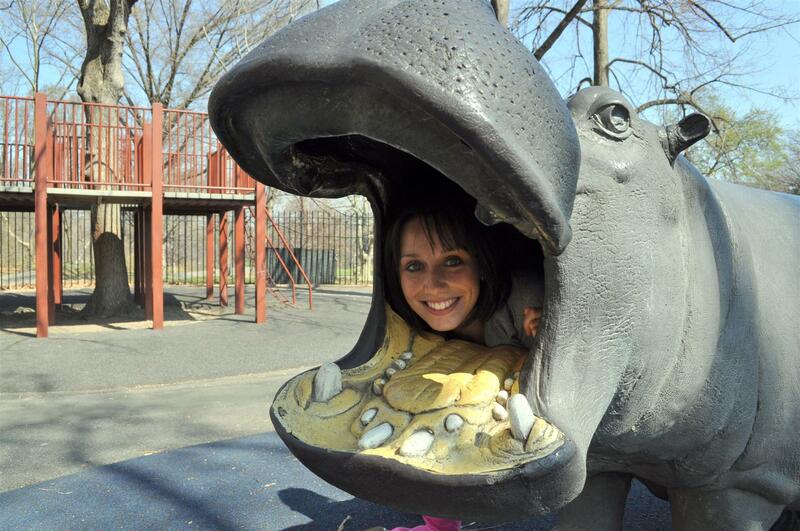 Make sure you always have a two-year-old with you when exploring the insides of a hippo! Uh, yeah! Can’t believe we missed something! (Ha!) 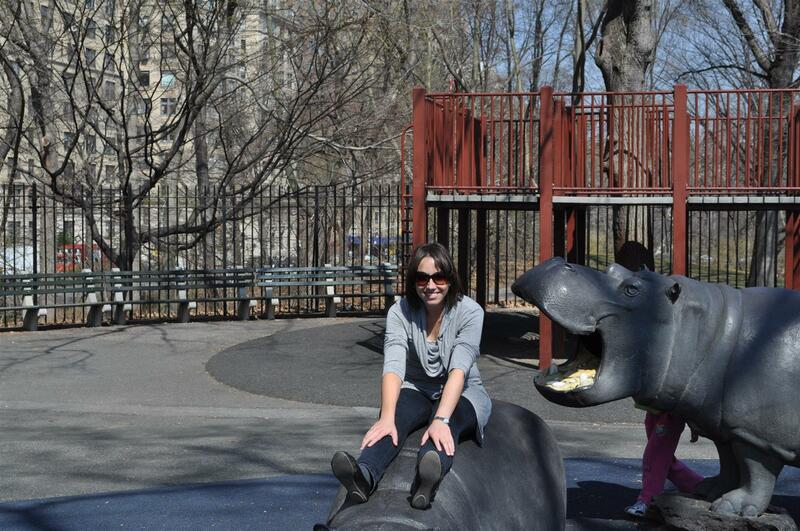 Definitely need to go there sometime…with some kids. 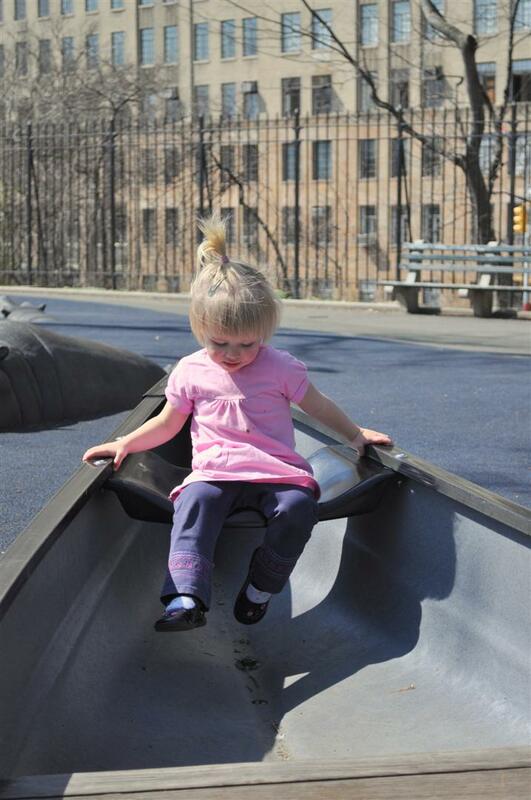 E, reminds me of those floor level 1/2 tubes we raced through in the St. Louis City Museum. I almost panicked in there.